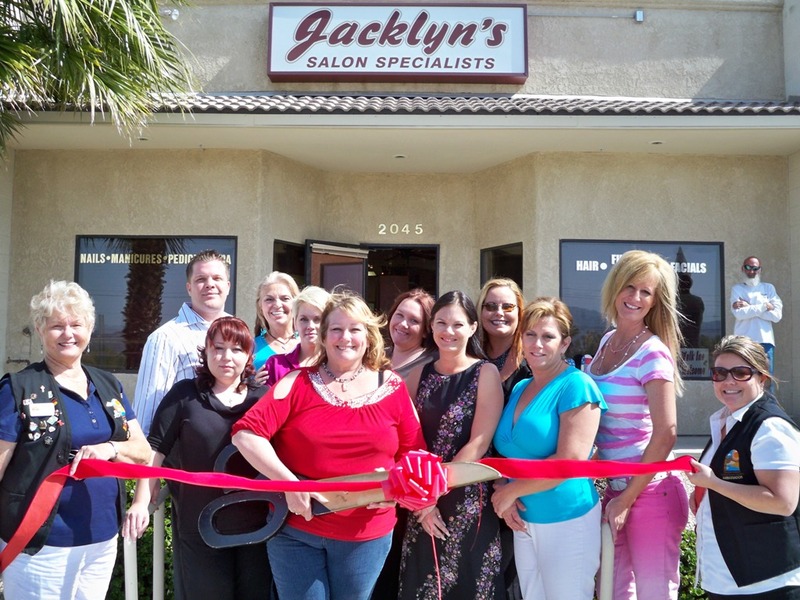 Jacklyn’s Salon Specialists have been serving Lake Havasu City for 10 years. 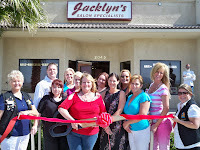 Jacklyn would like to thank the team at the salon and faithful customers for her success possible. The Lake Havasu Chamber Ambassadors held a ribbon cutting for the anniversary, in attendance were: Front row: Marga Nill, Maryann Williams, Jacklyn Ballard, Jennifer Bemiss, Renee Plemmens, Ronda VanCamp and Kristina Gallo, second row: Nathan Burnell, Horizon Community Bank, Sandy Seedorf, volunteer, Carolyn Shannon, Jennifer Wilson, Gina Peterson, Randy Ballard, Jacklyn's husband & handyman. For more information contact Jacklyn’s at 453-2909 or stop by at 2045 Swanson.